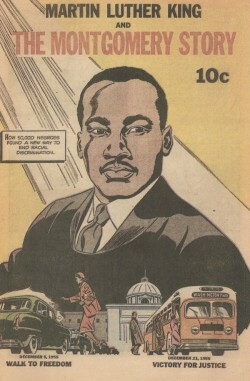 In 1958, The Fellowship of Reconciliation published this comic in support of the Civil Rights movement. Even though I am fairly well versed in Civil Rights history, I had never seen this publication. I was lucky to find it in the bookstore. It has been reprinted by FOR. It has a very insightful summary of Christian non-violence in the back. Order a copy here. looks like the links are dead; this looks like a great find, one for the collection!